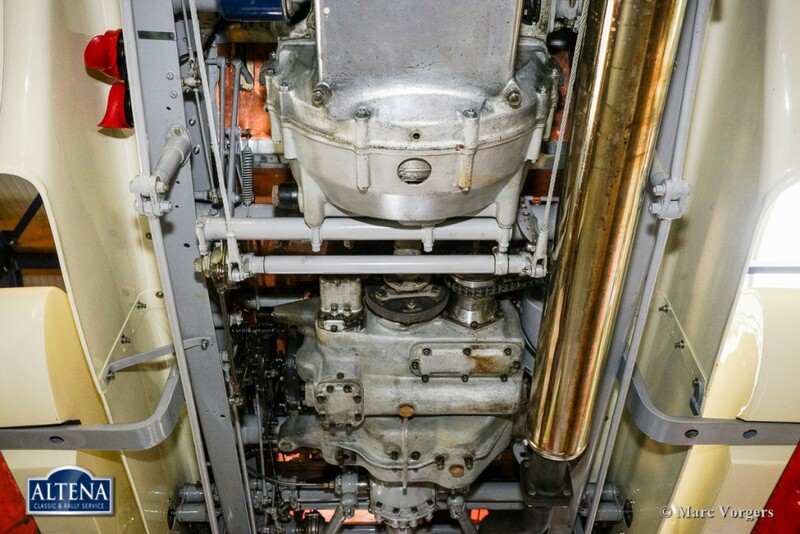 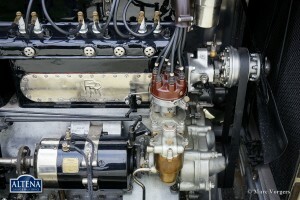 Cylinder capacity:cylinder capacity: 7668 cc. 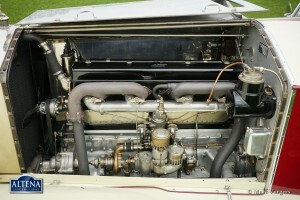 Capacity:113 bhp. 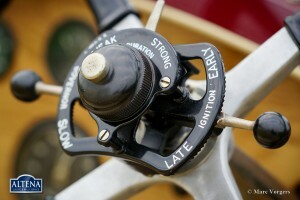 At 3000 rpm. 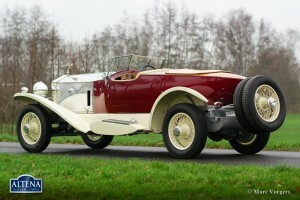 Rolls-Royce Phantom I, year 1928. 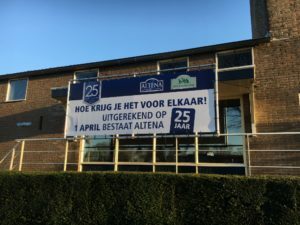 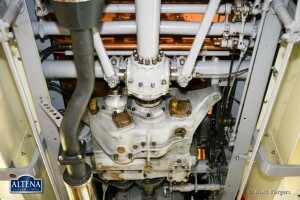 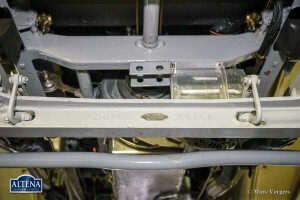 Chassis number 450XX – 52FH. 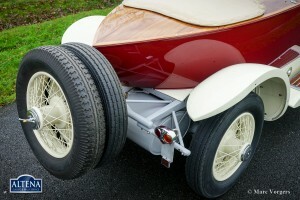 Colours: dark red body, polished aluminium hood/bonnet, crème white wings and running boards, grey chassis. 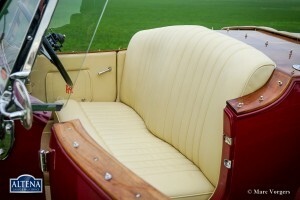 Interior with light beige leather upholstery and beige carpet. 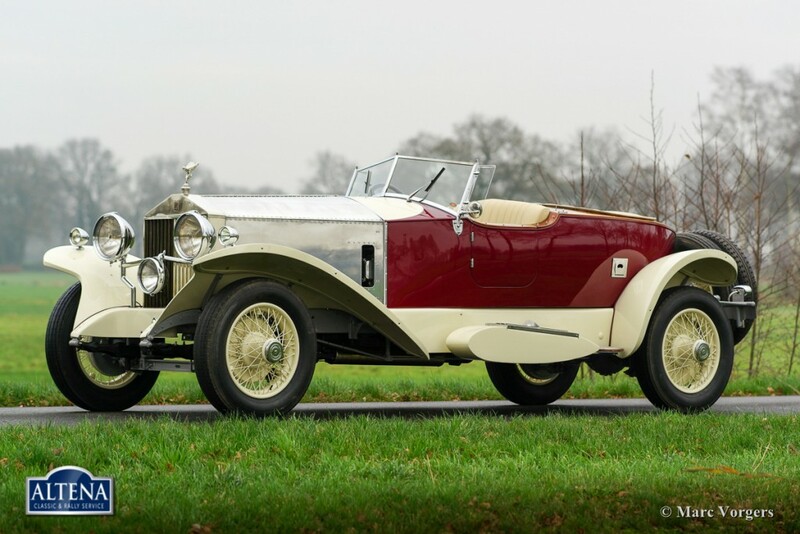 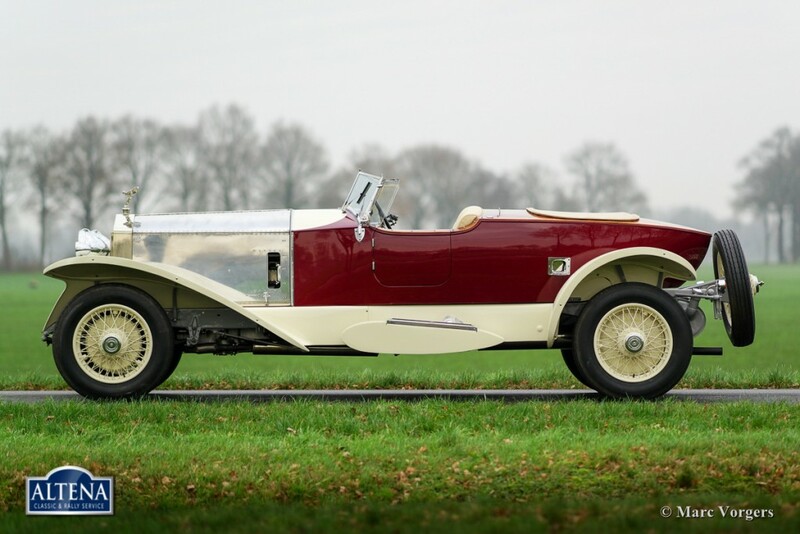 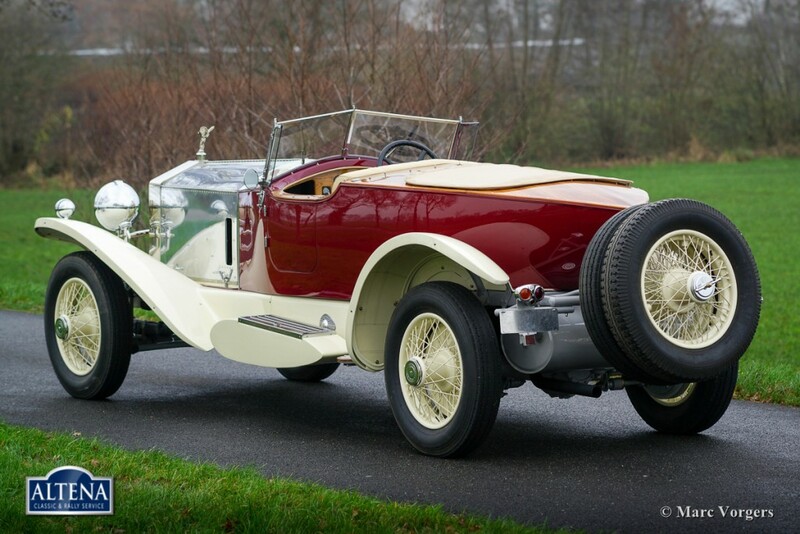 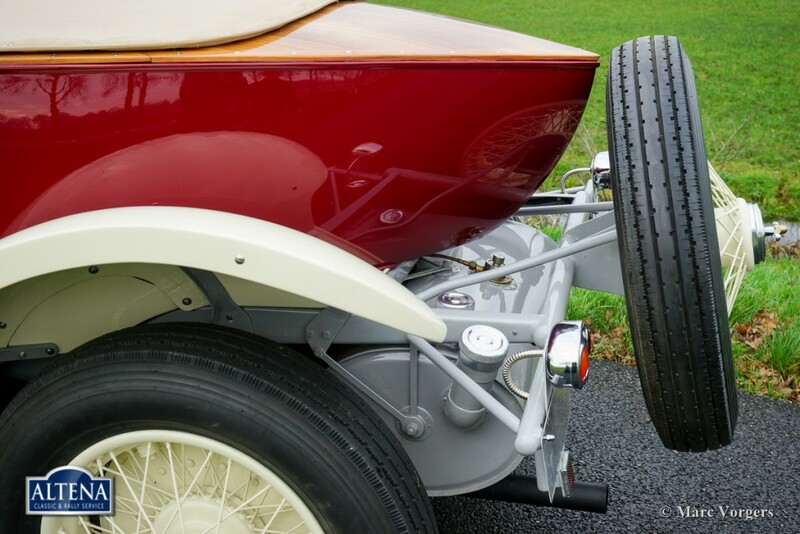 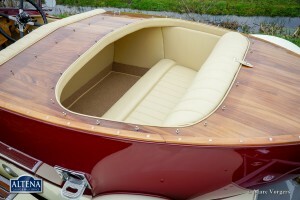 This majestic and very impressive Rolls-Royce Phantom I with ‘boat-tail’ bodywork is in superb top condition! 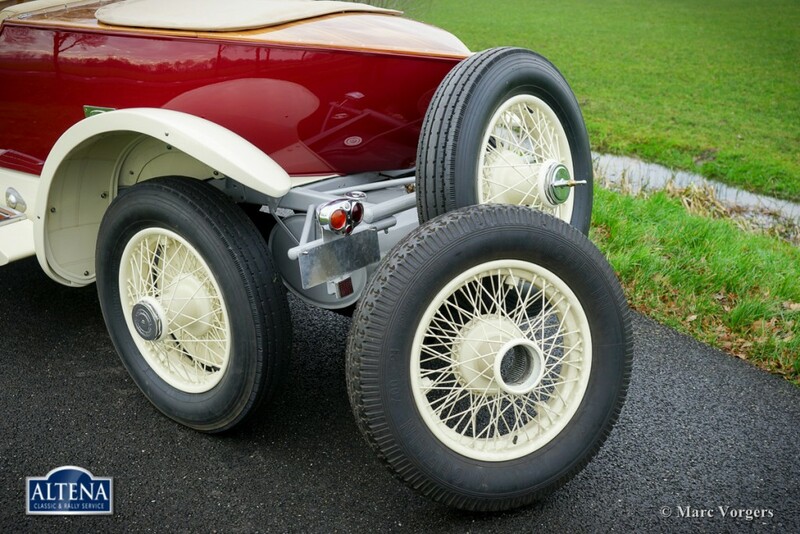 The automobile was delivered new on 1 July 1928. In the early 1950ies the current and very beautiful ‘boat-tail’ body was built and fitted by Wilkinson coach builders of England. 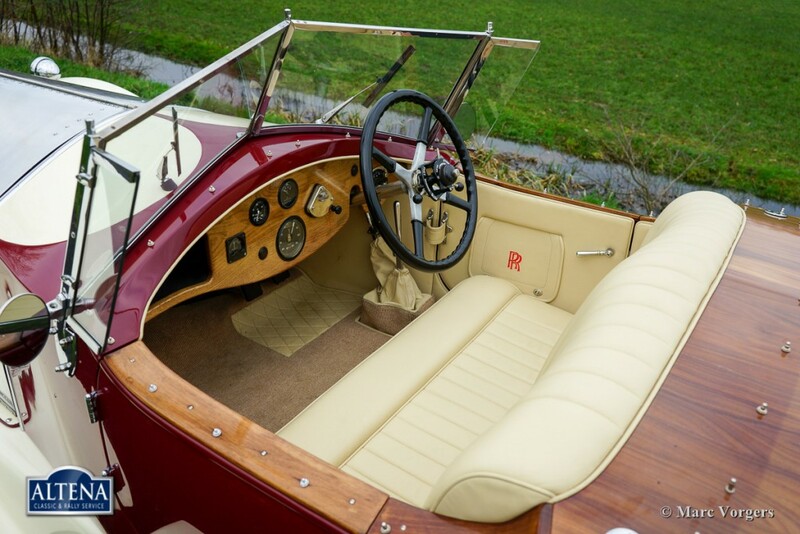 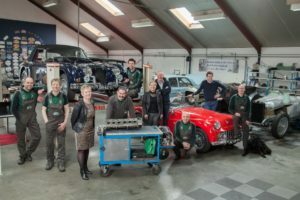 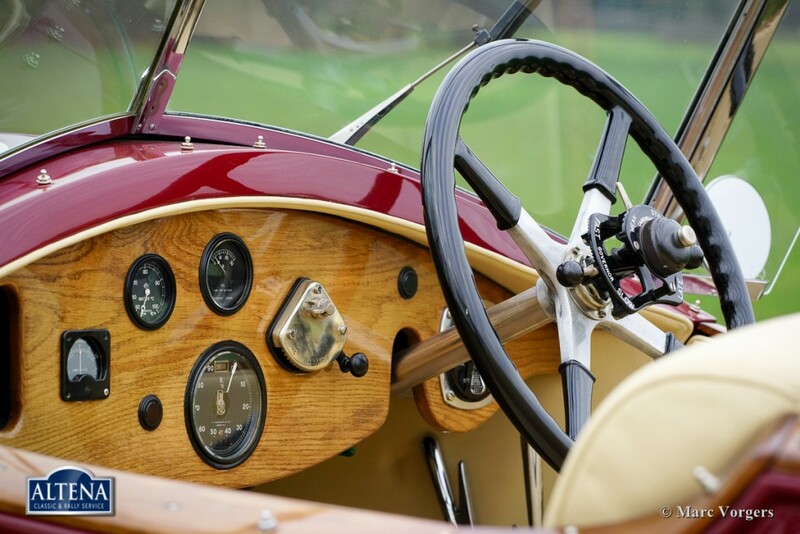 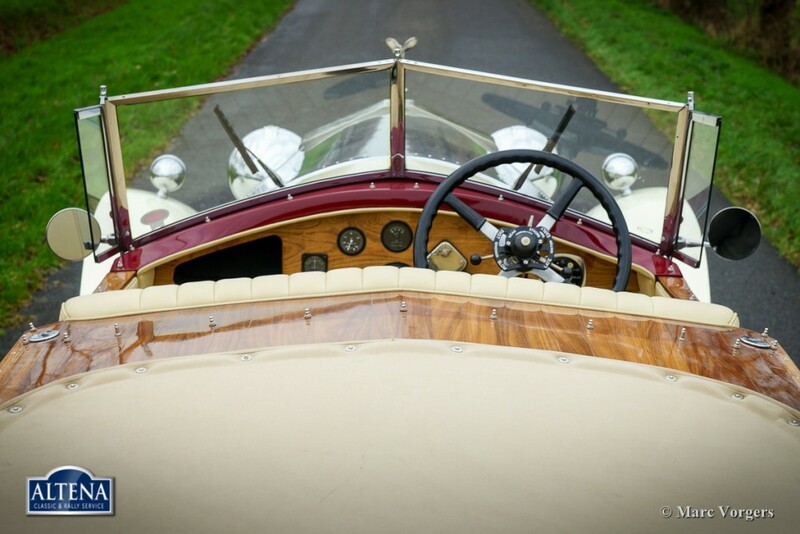 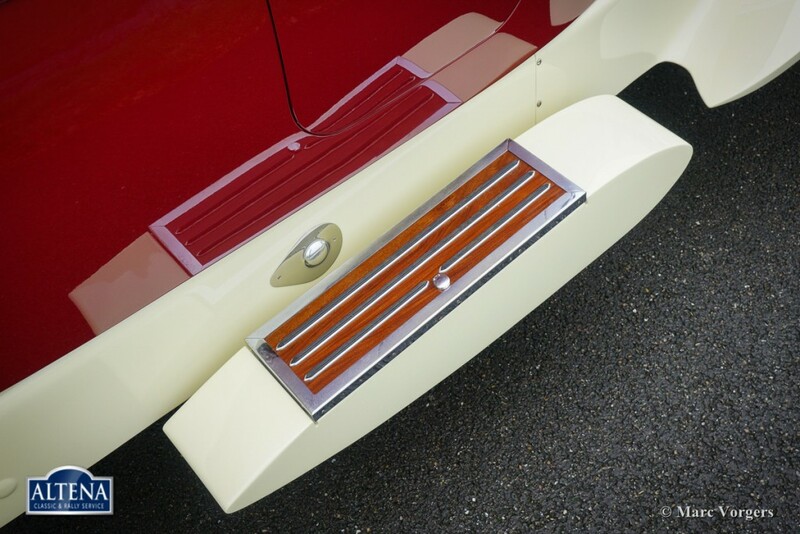 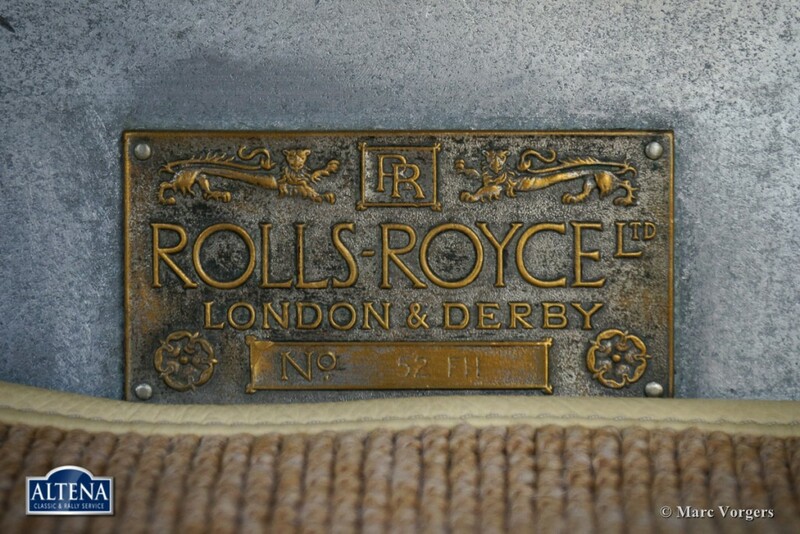 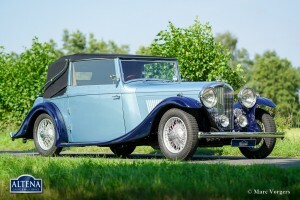 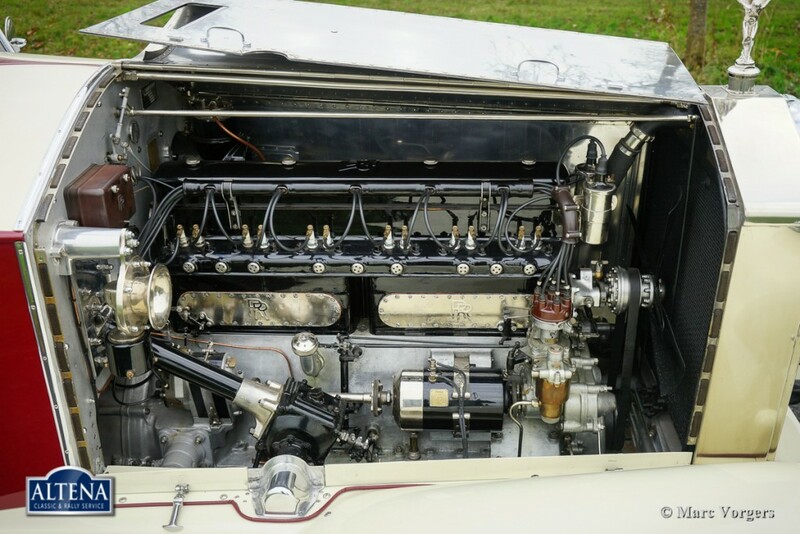 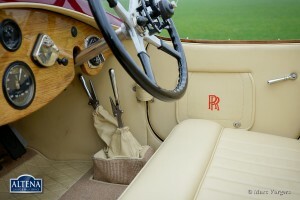 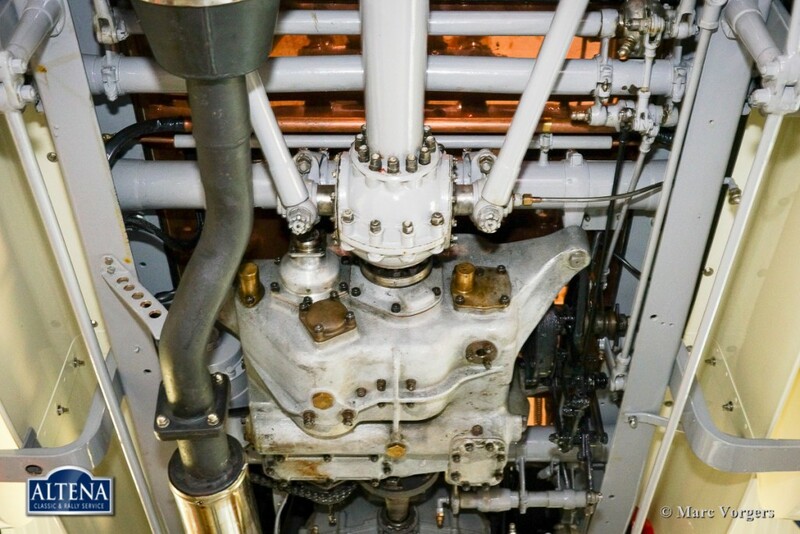 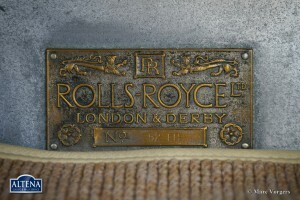 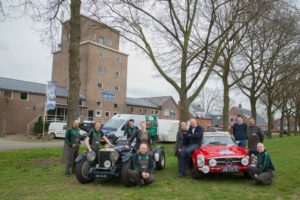 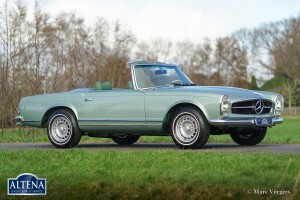 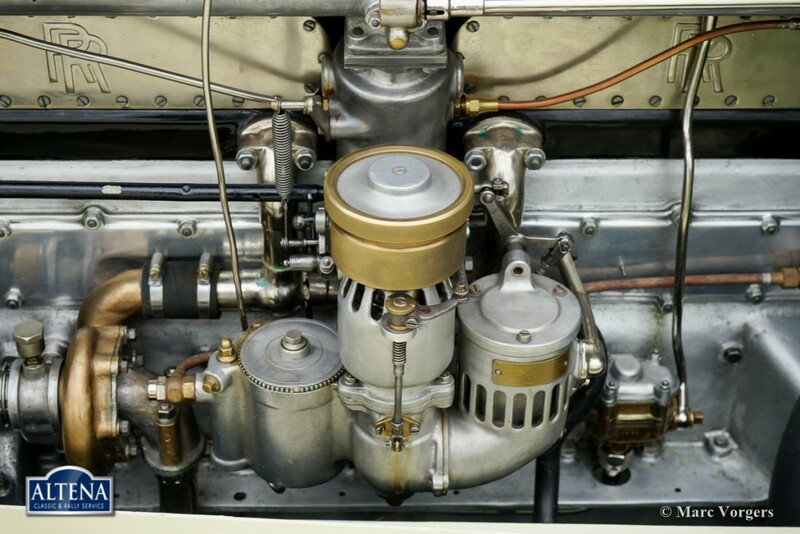 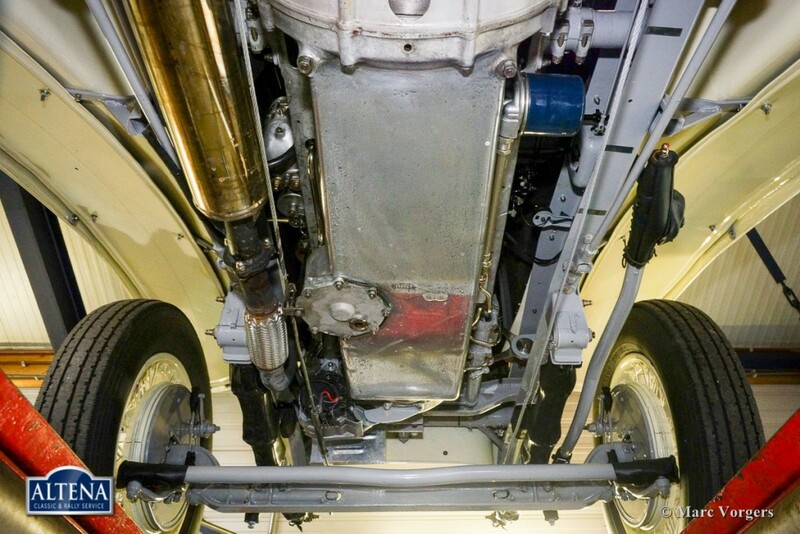 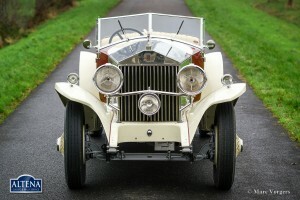 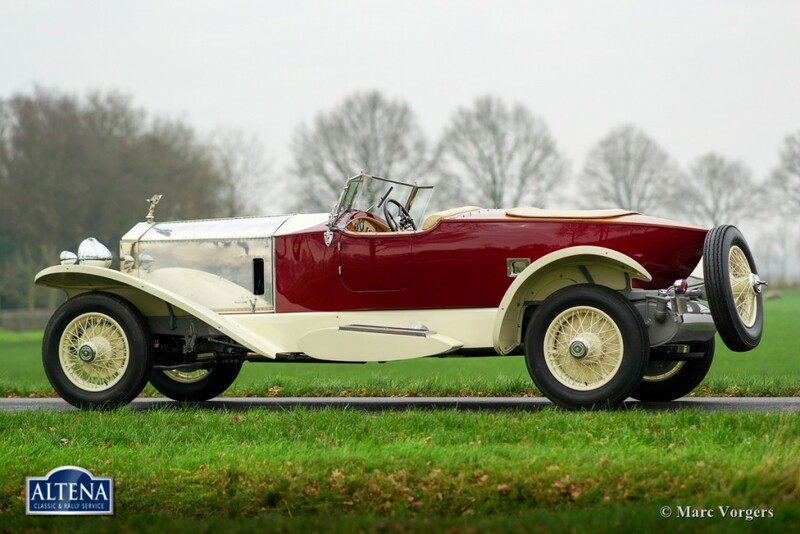 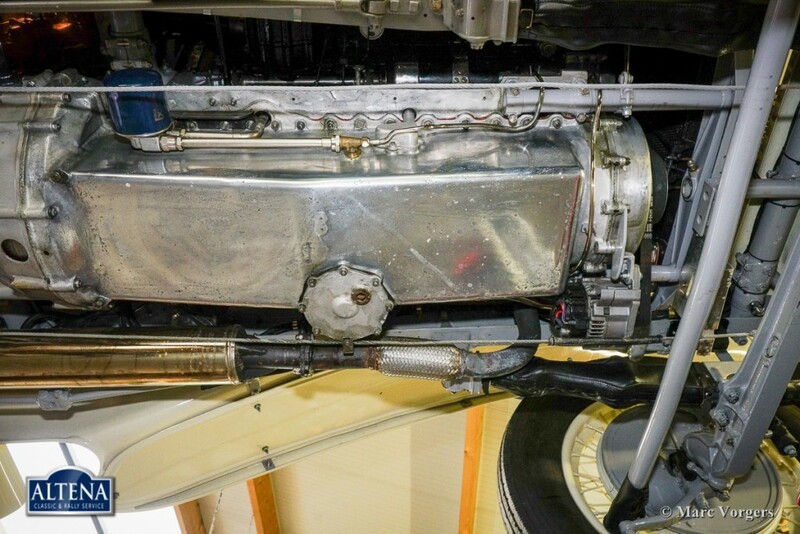 In the early 1970ies the car was extensively restored by Rolls-Royce specialist Jarvis in the UK. 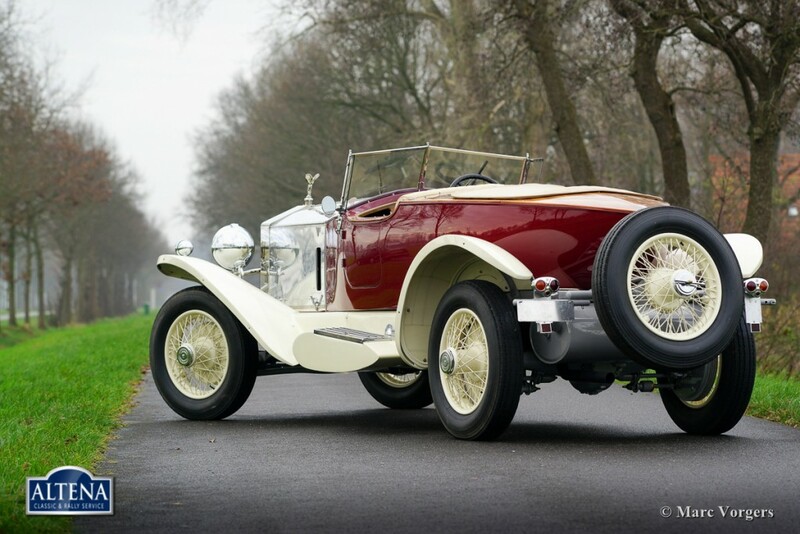 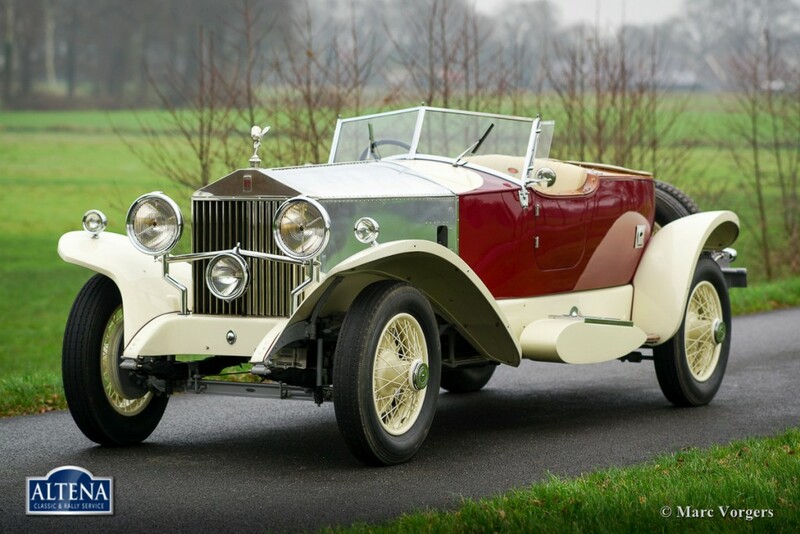 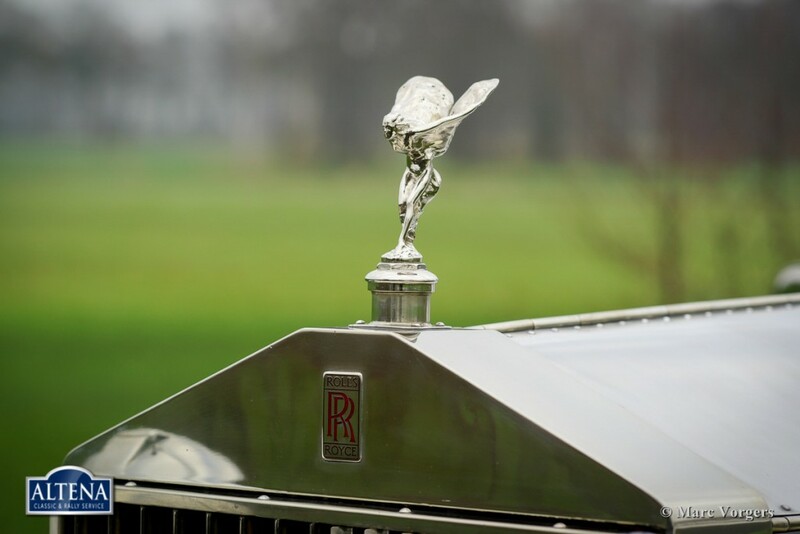 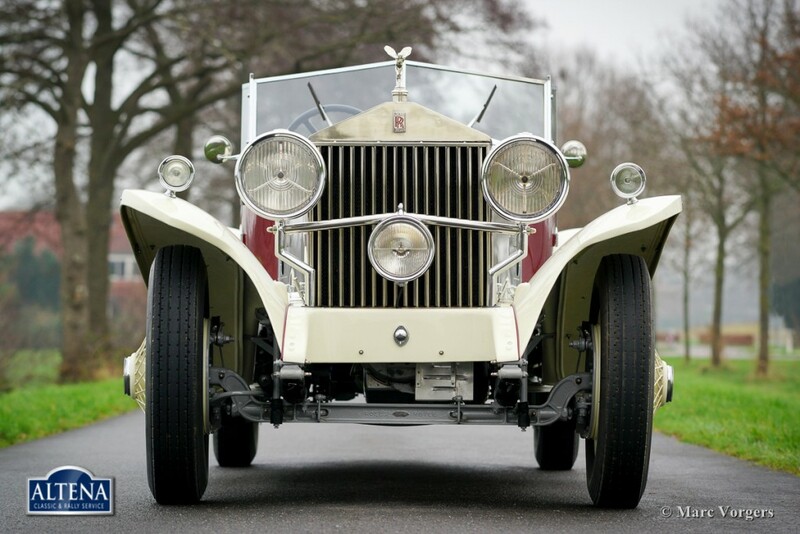 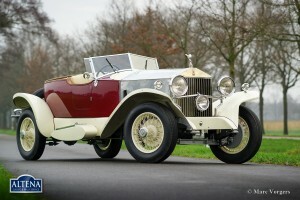 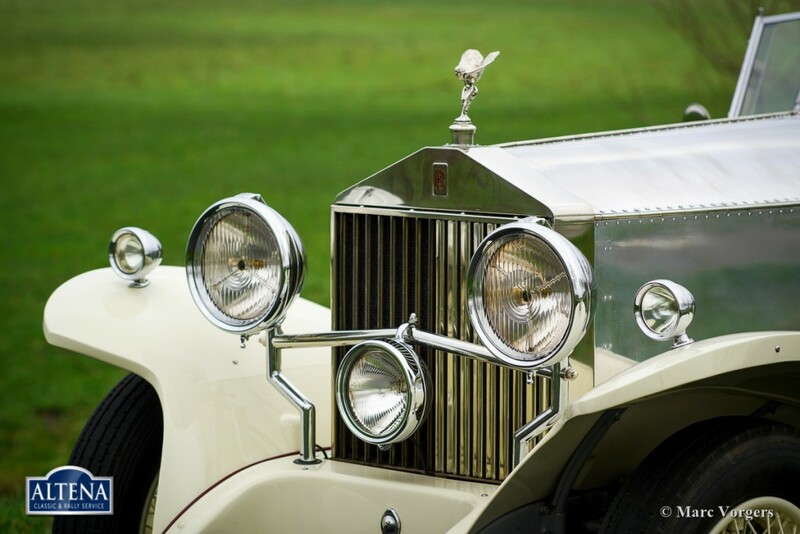 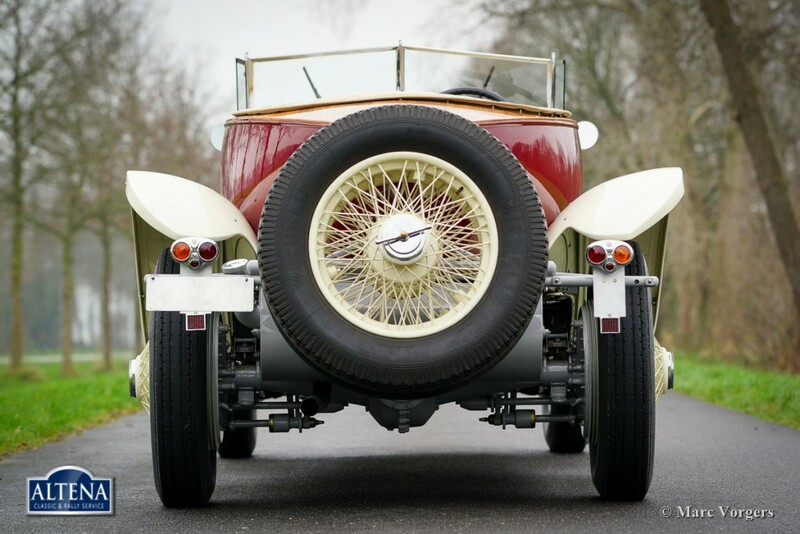 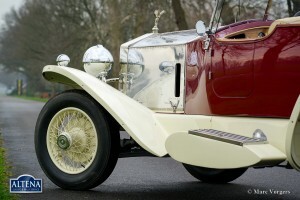 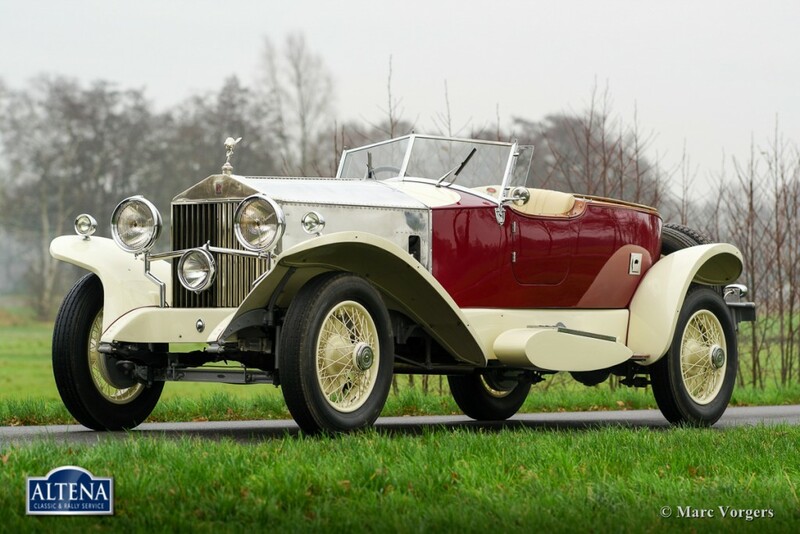 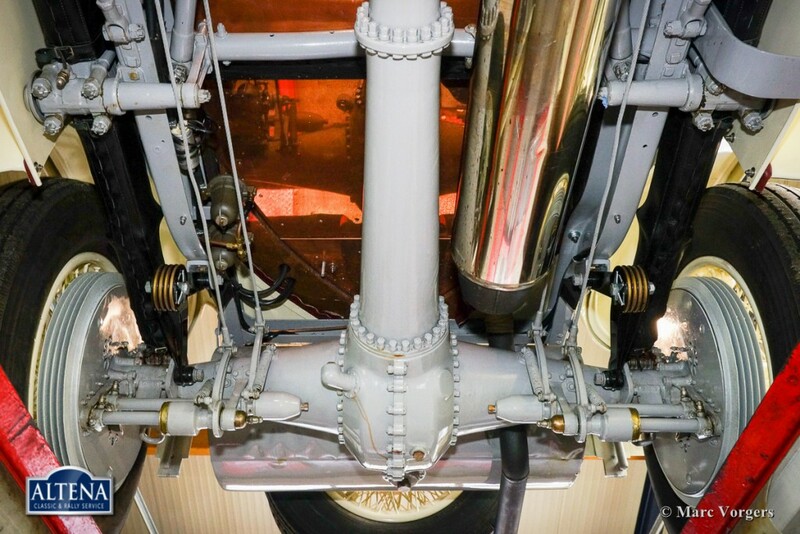 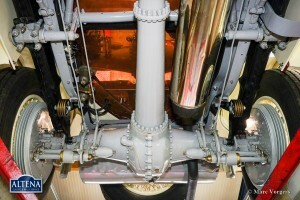 In 1997 this magnificent Rolls Royce has driven the Peking – Paris. 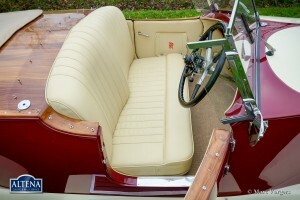 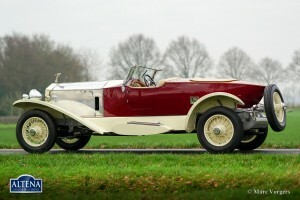 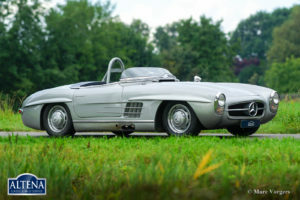 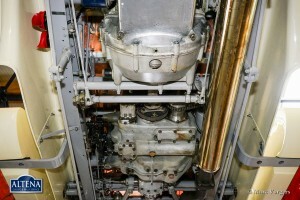 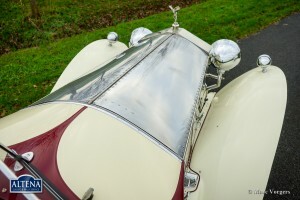 After that the automobile was brought to the current top condition. 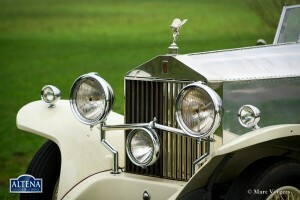 This Rolls-Royce is a stunning beauty and the car drives absolutely fantastic.